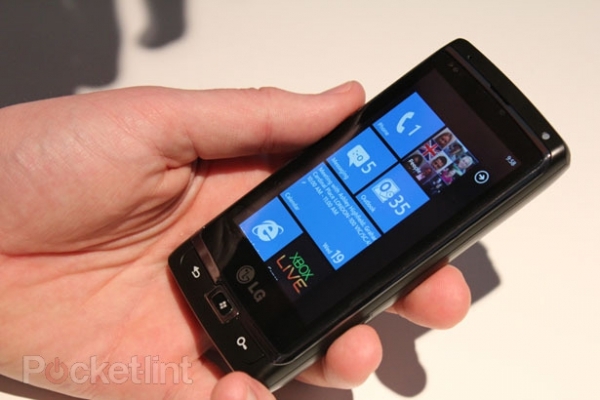 "Microsoft demoed the latest build of its Windows Phone 7 operating software today, on a prototype LG Panther handset (previously unveiled back in February) which is currently being used by a senior company executive. For all intents and purposes, it was working very smoothly, and gave an excellent glimpse at the potential of the new OS as many of the major features were up and running." Why are you more focused on the Dell? It looks to have M&M keys and that; for a lot of us, is hard to wrap our heads around. Well the Dell has a more "innovative" design so to speak so I could understand the level of attention it grabbed. This one look like the one they used for the original presentation in February but I could be wrong. Honestly I am not paying much attention to WP7 related news because I will not adopt it; not because of the GUI, that still looks intriguing to me but because of the artificial limitaitons MS set for this class of devices. Last edited by Fritzly; 05-20-2010 at 03:11 PM..